Rob Tillett, astrologer and founder of Astrology on the Web, examines the effects of the Moon's Nodes changing sign from Capricorn/Cancer to Sagittarius/Gemini in February/March 2011. The Moon's Nodes are a powerful karmic force in the zodiac, which change sign every 18 months or so, marking profound changes on the world. This change of sign moves the Dragon's Head into Sagittarius, the sign of the Archer, marking a new set of drives for the world. This marks a sort of counter-nodal return for the cosmos, as the North Node is exalted in Gemini, so is effectively in fall in war-like Sagittarius, the exaltation of the South Node. This is likely to reduce the benefits to the collective of the transition, and aggravate the potential for problems in coming months. In astrology, the Moon's Nodes (the Dragon's Head and Tail) are not planets in the strict astronomical sense, but rather sensitive points on the ecliptic, where the Moon crosses from south to north latitude and vice versa. The body of the "energy dragon" is the fourth-dimensional path of the Moon by declination, as she weaves her web around the earth. The nodes are also known as the Dragon's Head (Caput Draconis), the North Node, and Dragon's Tail (Cauda Draconis), the South Node, although in Indian Astrology they are known as Rahu and Ketu. In mythology, this Dragon sought to devour the Sun, the life-force, and the Moon, the emotional being, thus explaining the eclipses. There is a good deal we can learn from a deep consideration of this myth. The North Node, the Dragon's Head, is called the ascending node, because it marks the point where the Moon crosses the ecliptic from southern to northern celestial latitudes, and the South Node is called the descending node, marking the descent from northern to southern latitudes. All the planets have nodes except the Sun and the Earth, but the Moon's Nodes are by far the most significant, in terms of human destiny. For more on the nodes, please click here. The movement of the nodes is normally retrograde, so from February 18 (at the Full Moon in Leo) to March 3, 2011, the Moon's true north node, the Dragon's Head, will be in the first degree of Capricorn, the ambitious sign of the Sea-Goat. This is the all-important cardinal point, which has been under pressure for some time due to the adventures of Jupiter, Uranus and Saturn as they hover around this point in their various cardinal signs, creating the tensions that we have all been experiencing over the past few months. I think it's key here that the Moon's mean node has already made the jump to Sagittarius, having occupied the first degree of Capricorn between January 25 and February 13, 2011. It's notable that during this period the massive upheavals in the Middle East have occupied our attention, as the people rise up to seize their freedom from oppressive regimes. The Moon's mean node in the first degree of Capricorn has been in conjunction with the unfortunate Fixed Star, Sinistra. It is curious and apposite that this star is in the hand of Ophiuchus the Serpent Bearer, the so-called "13th Sign" of the zodiac, which was so much in the news during the last half of January. This star, described as "immoral, mean and slovenly, depraved, lustful, wanton, infamous, scandalous, addicted to sorcery and poisoning" has evidently had a "hand" in the recent, ignoble attacks on astrology in the media by people who should know better. Because the nodes are an axis, this places the Dragon's Tail in conjunction with the malefic star Menkalinan, which does not augur well for the world. Menkalinan brings ruin, disgrace and violent death (especially as a consequence of the pursuit of luxury) and we have seen this in spades in the countries of North Africa and the Middle East, where the people have risen in fury against their despotic overlords. It is notable that the latest wave, which is smashing across Libya in North Africa is signalled in the chart of its famous leader, Col. Moammar al-Gaddafi (originally a popular revolutionary but now a multi-millionaire despot), where the south node is currently (March 1) eclipsing his natal Jupiter in the last degree of Gemini and Uranus (disruption; catastrophe) is conjunct his natal Moon at the Aries point in his sunrise chart, and square the transiting nodes. 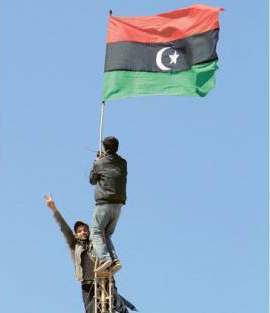 Gaddafi's regime will fall, but not without a fight! On March 3 the True Node changes sign to Sagittarius, after an eighteen-month stint in Capricorn. Note that the Moon's Mean Node leaves Capricorn on February 13, 2011, preparing the way for the True Node to make the jump some weeks later. Astrologers have traditionally used the mean position for the node, as before the development of computers, the true position was too hard to calculate. It could be argued that the mean position is more appropriate, but I have been using the True Node for many years now and have found it to have the advantage. At 12:38 UT (Universal Time, formerly GMT) on March 3, the True Node enters Sagittarius, heralding a substantial change in direction of the collective, marked primarily by a movement away from a formal concern with standards and traditions and finding ways of stabilising our political and economic wellbeing to a more adventurous, truth-seeking desire for personal freedom, associated with spiritual, political and religious growth and development. Sagittarius is an adventurous and independent sign, but has traditionally been seen as especially warlike and fond of conquest. Gemini is a sociable, communicative sign, but is noted for a sharp tongue and something of a double-dealing nature. This transition marks a sort of counter-nodal return for the cosmos, as the North Node is exalted in Gemini, so is effectively in fall in war-like Sagittarius, the exaltation of the South Node. This is likely to reduce the benefits to the collective of the transition, and aggravate the potential for problems in coming months. How does this significant cosmic movement affect the US and its president, Barack Obama? If we look at the US Silby chart set for July 4 1776 in Philadelphia, we see that the USA is currently undergoing a difficult Saturn Return, causing the people deep regrets and to question their role in the world, by re-examining their (sometimes egregious) errors in the past. The wars in Iraq and Afghanistan come to mind, but there are plenty of other issues to mull over, such as the policies that led to the GFC, for example. US natal Saturn is in the mid-heaven, showing that the role of the common people in governance is (or should be) primary. These same common people now are in a pretty bad state, thanks to the decisions of the power-wielders. Jupiter has moved into Aries and Uranus and the Sun will join him there at the Equinox on March 21. This signals the perhaps disruptive beginning of a completely new direction for US domestic and foreign policy in the months ahead. As the nodes change sign, the Moon in the figure is exactly conjunct the US natal Moon, stressing the importance of the public and its emotional reactions, as well as the influence of women on the situation. The new direction seems to be a better one, as US leadership and fortune symbolised by natal Jupiter and Sun are well-aspected and the south node is now off their case, taking the situation out of their hands and into a new level. Prosperity will probably return as the north node is in the country's first house, but the south node hits US natal Mars in July and August 2011, when a number of other unpleasant factors coalesce, including a retro Uranus, retro Mercury, retro Ceres on the Aries point and so on. More war perhaps? Maybe even an attack on the US, but more likely an action taken to divert the public's attention. President Obama has problems of his own, as his life seems to have been taken out of his hands by circumstances beyond his personal control. His marriage, though it seems strong on the outside, must be under pressure, as the south node has just crossed over his natal Venus and entered his Washington first house (nodes move in a retrograde fashion by default). This will put pressure on his self-image and his health is likely to suffer. Uranus is hovering around his natal Juno (woman as partner) creating severe pressure on his marriage and partnerships with significant women, such as Hillary Clinton. Remember his Moon is in Gemini! Jupiter and Saturn, the Great Time Lords of the zodiac, reach their landmark opposition on March 28, just before Mercury turns retrograde in Aries. This will create pressure on his children and on his personal friendships, associates and his own hopes. The matter is eased by the fact that Venus has reached the conjunction with his natal Jupiter, suggesting that his life will otherwise take a turn for the better, especially with regard to his interest in cultural pursuits and matters of the higher mind, including his appreciation and knowledge of art, music, religion, diplomacy, and law. He can use this interest to inspire others as well. He must however beware of overindulgence and exaggeration and avoid the tendency to "gild the lily". Will his ego interfere with the judgement of his advisers? Their judgements have been a bit off the beam lately... In any case he still has an opportunity to do good and should not waste it. The Moon's True Node oscillates according to the Moon's "wobble". This is caused by the gravitational effects of the Earth/Moon interaction, so the True Node sometimes has periods of direct motion. The Mean Node averages this "wobble" out, so is always retrograde. How Does the Movement of the Nodes Affect Each Sign? "An Indian Chief Claims Power From The Assembled Tribe." Adriano Carelli, in The 360 Degrees of the Zodiac notes that this degree tends to reduce the sense of outer isolation and inner seclusion from the rest of mankind which are the main features of the sign Capricorn. When this degree is activated, all possibilities are admitted, for the typical self-assurance of the sign is stronger than ever. Double-dealing and treachery can run rampant, but "the faith in oneself and in one's cause are driven to their utmost". 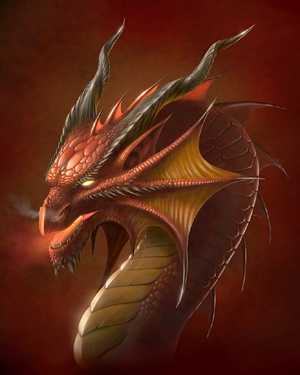 As the Fiery Dragon leaps from his Earthy lair into the flaming realm of Fire, we are due for a rapid realisation of karmic debts that have accumulated and must be repaid before this cycle ends. Hence we can expect dramatic developments with regard to the position of the nodes in your own chart, as well as in the world at large through the effects on the charts of countries and their leaders. Karma is not just a mindless force, though the energies of the nodes do tend to bring out the unconscious side of things, but is a force that is designed to wake us up and shake us into a new state of awareness. Here is a brief commentary for each sign, with the current crisis point noted (due as the karma matures this February/March) and the side of life that will provide karmic experience in the period between March 2011 and September 2012. The effects of the transiting Nodes often seem somehow inevitable and fated. This simple Sun Sign table treats this transit as though you were born at sunrise, thus affecting the 1st and 7th houses of your chart. It takes no account of the effects the Nodes may have upon the mid-heaven (MC) and the IC (4th house cusp), the Moon or any other sensitive point in your chart. If you know your rising sign, you can use it to gain a little insight, and you can now calculate it free of charge with our free on line Rising Sign Calculator. Even so, it would be best to obtain a personalised reading from your favourite astrologer, which you can order via our order form. The effects of the transiting Nodes on anyone's life, but particularly upon the collective consciousness of the world, are profound and truly significant. Forewarned is forearmed.